For the past year, I've posted a number of articles on the future development of molecular manufacturing (MM) and its relation to bible prophecy. In the time since those articles were first written, researchers have achieved some major milestones in the development of this powerful technology. Chemists from UCLA and the University of Washington recently collaborated in the creation of "designer enzymes," an achievement with major implications. The project makes it feasible for the human race to create customized enzymes that don't normally occur in nature for the express purpose of enabling chemical reactions. This is a major stepping stone in the goal of human computational control of chemical reactions and eventual human control over all matter itself. Read more on the CRN blog: "Nanotechnology Milestone"
Essentially a molecular switch, scientists in Japan have created a molecular device which can be used to send messages to other molecular devices. This "chemical brain" is actually a single molecule surrounded by 16 additional molecules. Using a scanning tunneling microscope, researchers can change the chemical state of the central molecule, which then effects the chemical state of all the surrounding molecules. The result is a configuration that "allows four billion different possible combinations of outcome". In due time, such a breakthrough will serve as an important bridge between human desire and the ultimate manipulation of matter. Read more on BCC: "Chemical Brain Controls Nanobots"
A $15 million research project at The University of Texas - Dallas aims to design a manufacturing process that takes place at the molecular level. Once achieved, this process will allow researchers to manufacture products with absolute atomic precision - meaning every single atom will be in its proper position. Molecular manufacturing includes this ability, along with other notable characteristics, such as the ability to self-replicate, so by itself this breakthrough will not result in molecular manufacturing. However, it will lead to a dramatic increase in the power and potency of certain products manufactured using this process, and it represents a major stepping stone in the race to achieve molecular manufacturing. Read more on Nanotechnology Now: "Researchers Drafting Plans for Tiny Assembly Lines"
This last story calls for closer examination. The real news story is not the ambitious goal of atomically precise manufacturing (APM), but rather the details of the undertaking itself. A university is expected to achieve this milestone for the relatively low cost of $15 million? If this turns out to be true, then the development of molecular manufacturing could be much closer than people believe. As major milestones on the road to molecular manufacturing begin to fall within the boundaries of universities and corporations, requiring only millions instead of billions of dollars to achieve, then those same milestones are easily within reach of governments all across the globe who have tens of billions of dollars to devote to covert molecular manufacturing programs. Given the profound advantages to developing MM first, coupled with the profound negative consequences of not developing it first, it seems more than likely that multiple governments have sufficiently advanced covert molecular manufacturing programs currently underway. If corporations and university researchers can make such rapid progress with limited resources, what could a well-funded government military project achieve? The answer will change the geopolitical realities of our time by crowning the winner of this new arms race undisputed ruler of the world. Who will develop molecular manufacturing first? This was the subject of a recent commentary by Mike Treder for Nanotechnology Now. Read the full article: "Who will win the nano race?" While neither of these variables is sufficient in-and-of-itself to predict the winner of the race to molecular manufacturing, they do provide great insight into the amount of interest and focus on the subject by the respective scientific communities of the nations involved. Treder's commentary leans toward the conclusion that the United States maintains a decent lead in both areas. However, further examination of the data reveals a different story. In my opinion, funding is a less reliable indicator of commitment due to the fact that a covert government project is not counted in the final figures. 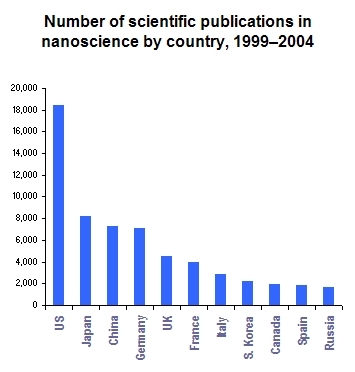 Therefore, we can't really analyze accurate figures of each nation's final expenditures in regard to nanotechnology. However, peer reviewed papers offer a more reliable indicator because they illustrate the true depth and breadth of knowledge retained by a local research community concerning a particular area of scientific study. When the core nations of the European Union are treated as a single nation (which they should be in this instance given the cooperative nature of the Western European Union in the development of military armaments), it becomes clear that the United States is not the world leader in nanotechnology expertise - the European Union is. If this is true, then the European Union is on its way to becoming the world's ruling power, a development that isn't surprising to those familiar with bible prophecy. Afterall, the bible is clear that the final gentile world empire will be a revived version of the Roman Empire. These articles shed light on the general direction in which this world is headed. Although the bible does not explicitly mention molecular manufacturing, it does provide a description of the state of human affairs in the last days. Much of what the bible describes parallels human predictions for the era of molecular manufacturing. Does this mean molecular manufacturing is the tool with which the Antichrist will conquer the world? Not necessarily. But what we do know is that an alternative method for the establishment of the Antichrist's diabolical kingdom has only a short window of time to materialize before the maturation of molecular manufacturing. Since the development of molecular manufacturing will inevitably lead to the establishment of a global regime, and the bible states that a truly global government will not exist until the appearance of the Antichrist, then one can logically conclude that if the Antichrist does not appear before the development of molecular manufacturing, he must appear in tandem with it. 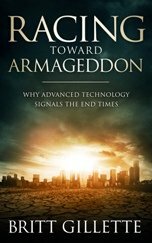 The aforementioned breakthroughs in the race to develop this powerful technology illustrate just how close the world is to the seven year Tribulation and the subsequent Glorious Appearing of Jesus Christ. This means the timing of the rapture is even closer. 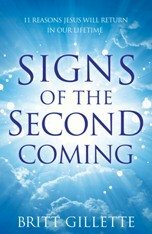 Not all the signs of our times are mentioned here, but they are plentiful, and the development of molecular manufacturing is just one more bullet point to add to this list, since it has to occur in tandem with the Antichrist if this son of perdition has not already appeared by the time of its maturation. Regardless, the signs are clear, our generation will witness the end of this age. 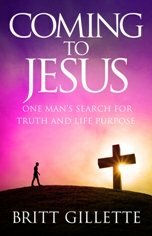 Jesus Christ is standing right at the door, knocking for anyone willing to listen. Soon, He will announce His presence to the world through means of the rapture, and soon thereafter He will establish His everlasting Kingdom where righteousness and justice will prevail forever and ever. Will you be worthy of entering His Kingdom? 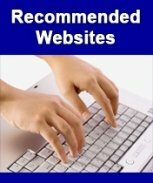 If you're not sure, read "How Do I Get To Heaven?" Rest assured that Christ has prepared a place for you in His Kingdom. All you have to do is claim it.